Designed for: Intermediate to Advanced Runners. This plan will help take you through your marathon training on only 3 days of running per week. Created by: Exercise Physiologist & Coach Joan Scrivanich who earned her Master’s Degree in Exercise Physiology from the Ivy League university Columbia University in New York City. 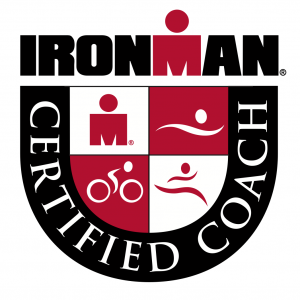 She holds coaching certifications from USA Triathlon, IRONMAN, USA Track & Field, and National Strength & Conditioning Association. Joan has been an endurance athlete for almost 30 years. 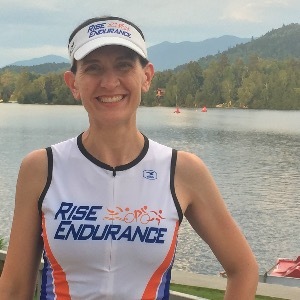 She had the privilege of competing at a competitive division I college in both cross country and track and has experience training & racing for everything from the Mile to the Marathon and Sprint Triathlons to the Ironman. - E-mail support is available to answer your questions regarding the plan. - A Zone Chart explaining effort/zones/intensity levels for reference with the workouts. - Access to our private Facebook group. This plan gradually builds your long runs leading up to Marathon day and includes two 3 hour long runs. You will get in all your key running workouts while supplementing your training with cycling and/or cross training in order to get to your marathon fit, healthy, and ready to run. It includes strength training, days off, and active recovery days. Before starting: You should be able to comfortably run for 1:40 hour. The weekly volume of the plan starts at 6:25 for the first week and peaks at 8:30. I look forward to helping you reach your potential. Cross train as you would like. Do 2-3 sets of each exercise set. You should do each until failure, recover, and then do it again. Be sure to include core exercises and corrective exercises during each strength sessions. 10-15min easy warm up, include dynamic stretches in your warm up. 5 x 3min @ lower zone 4 with 1:30min easy recovery run between sets. Keep your heart rate below threshold during the set. Remember good form and if you can run on a soft surface, that would be great. Cool down with left over time at zone 2 effort on soft surface if possible. Include in your warm-up strides as well as drills and dynamic stretching to ensure you are well warmed up prior to starting the main set. 3 x 8min @ upper zone 3 - lower zone 4 with 3-4min easy jog between sets. Focus on your weak areas in form during the sets. Cool down with left over time. Try to focus on holding good form in the C/D with a high cadence, soft surface if possible. 6 x 5min @ upper zone 3 - lower zone 4 with 1:30min easy jog between sets. 30-40min Zone 2 - Just enjoy the ride. Keep heart rate between Z2 and Z3 or at an easy/moderate effort. 20-30min easy spin @ 90rpm+ with mixed terrain. 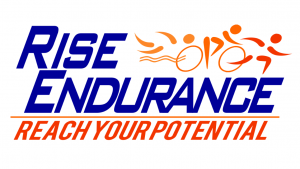 Our holistic approach to endurance coaching is scientifically based and athlete-centered, taking the whole athlete into account so that you can reach your full potential. Coaching is about monitoring and progressing the athlete. We don’t give cookie cutter workouts & plans to our athletes. We individualize every athlete’s training and help you navigate through your journey with the needed training & guidance to race successfully while staying healthy & injury free and to finish feeling strong.